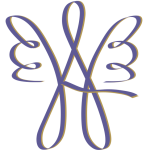 Annette is a teacher and mentor to those seeking to develop their own intuitive and healing gifts. She offers a variety of classes, workshops and retreats focusing on different aspects of the metaphysical world. intuitive abilities and learn more about the amazing world of energy! Interactive Thursday evening classes are held at the Helping You Heal Center in Stillwater, MN, from 5:30pm to 7:00pm every week unless otherwise noted. Drop-in class / All are welcome! Classes are held on Monday evenings from 5:30pm to 7:00pm in the Media Center at New Richmond Middle School in New Richmond, WI. No Winter classes scheduled at this time. Registration is required for all classes through New Richmond Community Education online or by calling Sara Rogers at 715-243-7421. This is a 12 week journey of intensive, interactive exercises, including Psychic and Mediumship experiences to help you further develop and strengthen your Intuitive knowing. This multi-week Intuitive Development course was especially developed by Annette to focus on trusting your intuition by using your visual eye and self-confidence to stay present while unlocking your deeper knowing. Learning the true spirit of these courses will open your eyes to the various aspects of healing, vibration and energetic abilities. Annette will guide you in an interactive, hands-on manner to help you gain a greater sense of self-empowerment. These Energy Healing Workshops are scheduled on a Saturday and Sunday from 10am to 4pm both days and held at the the Helping You Heal Center in Stillwater, MN. This two day Energy Healing course covers Aura and Chakra energy at a deeper level, exploring how physical pain can be relieved by addressing specific Chakras, recognizing your energy field as a conduit for healing, interactive excercises to help keep yourself healthy and balanced and many practice exercises to further develop and polish the healing techniques introduced in Level One. This two day Quantum Healing interactive course covers healing at an even deeper level, including Spiritual Healing for physical conditions. 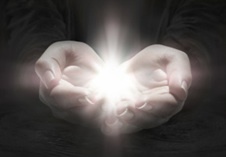 Energy healing is profound work and should never be taken lightly. Learn the importance of using appropriate spiritual discipline and knowing your limitations and responsibilities while recognizing the signs of illness, so you can understand what the body is telling you before things get complex and turn into disease.